Updated to the 2014 NEC! 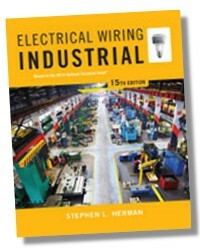 Full-color drawings and product photographs illustrate difficult concepts of the Code to increase the reader's understanding of the application in the wiring process. There is an emphasis on "going green" with electrical design and installation. 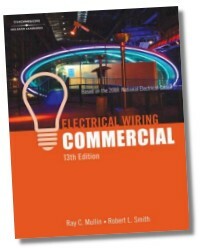 A complete set of commercial building plans is also included, offering opportunities for hands-on practice in interpreting and applying Code requirements and making this an ideal resource for anyone who will work in the commercial electricity industry. 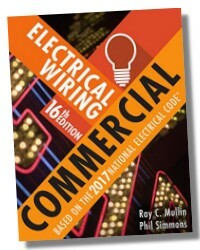 Reflecting the latest developments and changes from the field, ELECTRICAL WIRING COMMERCIAL, 15e is completely up to date with the 2014 National Electrical Code®. Continuing the text's emphasis on green technology, the 15th Edition adds new coverage of EV stations in commercial settings. 624 Pages - 8-1/2 x 11 in. 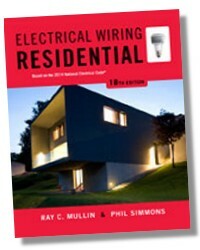 Ray C. Mullin: Former electrical instructor for the Wisconsin Schools of Vocational, Technical, and Adult Education. Former member of the International Brotherhood of Electrical Workers. Currently a member of the International Association of Electrical Inspectors, Institute of Electrical and Electronic Engineers, National Fire Protection Association, Electrical Section. 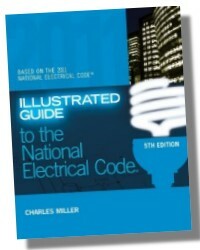 He has served on the NFPA Code Making Panel 4 of the National Electrical Code. Completed electrical apprenticeship training program. 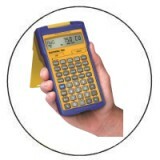 Worked as journeyman and supervisor for residential, commercial, and industrial installations. 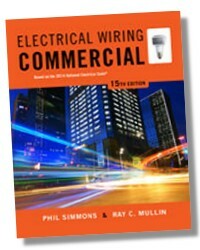 Taught electrical apprentice and journeyman course. Conducted numerous technical and Code seminars. He has written many articles that have appeared in electrical trade publications and has done consulting to electrical equipment manufacturers on legal issues. He has served on the Executive Board of the Western Section of the International Association of Electrical Inspectors and serves on the Electrical Commission in home town. He attended the University of Wisconsin, Milwaukee School of Engineering, and Colorado State University. Mr. Simmons has been a presenter on these subjects at numerous seminars and conferences for Universities, the NFPA, IAEI, Department of Defense and private clients. He has also consulted on several lawsuits concerning electrical shocks, burn injuries and electrocutions. 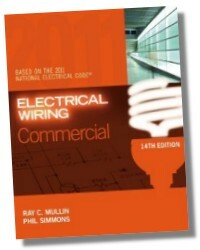 Mr. Simmons is the co-author and illustrator of ELECTRICAL WIRING RESIDENTIAL 17E, ELECTRICAL WIRING COMMERCIAL14E and ELECTRICAL GROUNDING AND BONDING 3E, all published by Delmar Cengage Learning. Mr. Simmons presently serves NFPA on Code Making Panel-5 of the National Electrical Code® Committee (grounding and bonding). He previously served on the NFPA Standards Council, NEC® Technical Correlating Committee International Association of Electrical Inspectors, Underwriters Laboratories and is a retired member of the International Brotherhood of Electrical Workers.